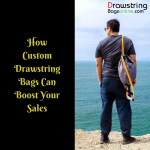 Drawstring bags are well suited not just for daily use but for toting picnic supplies or hiking implements among others. The brilliant color choices and the spacious middle compartments coupled with a simple drawstring closure are the salient features of these logo items. 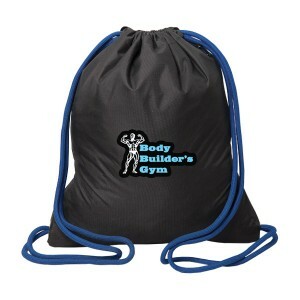 Custom drawstring bags have a reasonably good amount of advertising space where you can place your brand and message in style. 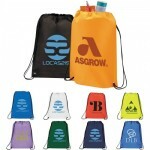 Highly functional, personalized drawstring bags enjoy a high retention as well. Your recipients will use these bags multiple days in a week, thereby ensuring regular brand exposure. 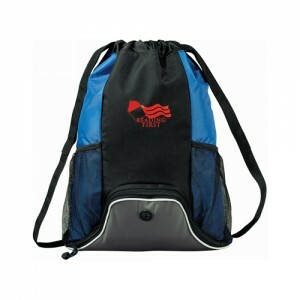 These cinch bags have a casual and cool charm about it and suits the tastes of every genre of users in all age groups. Make sure to choose an appealing model that your recipients will love to use regularly instead of choosing a very cheap model that may not last long. High quality bags get used for a long time and make a great value for money promotional item. More the products are seen, more will be your brand exposure and marketing effect. Drawstring bags are versatile models that will look good for a game day, beach holiday, library, gym or college and your brand and message on these will get a long term exposure. 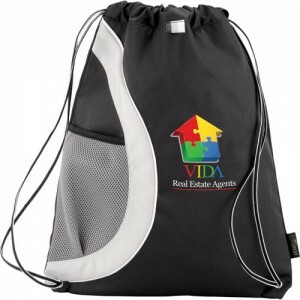 Gift items like drawstring bags have long term marketing effect, which will ensure more value for your promotional dime. Light weight and easy to distribute, these logo items are well suited for mass events like tradeshows. Marketers can afford to distribute these logo items to everyone in their guest list to get their brand information around. If you have a big message or artwork, drawstring bags will be a better choice thanks to its generous imprint area. 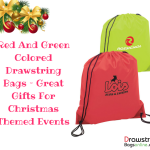 If you are looking for some trending drawstring bags for your promotions, here are a few choices to help you get started. 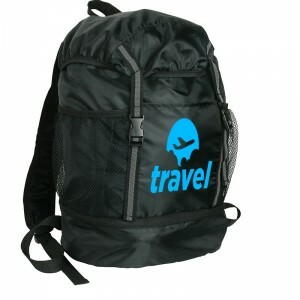 Trail Loop Drawstring Backpacks: These trendy and lightweight polyester backpacks have the best of both the worlds of a large storage space and a great canvas for imprinting business messages. 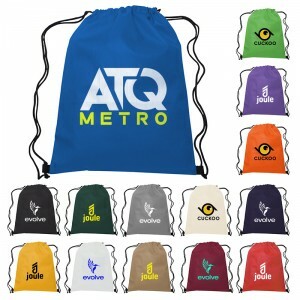 Ideal for adventure trips, camps and road trips, these logo items will make your brand the center of attraction. Corona Deluxe Cinch Drawstring Bags: These attractive bags will make big impressions during your next business events and tradeshows. Side gussets, shoulder straps and headphone port enhance its functionality and popularity among the audience. 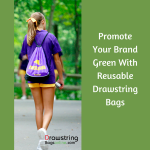 Recycled PET Cinch Drawstring Bags: Planning an ecofriendly campaign or wish to show your green credentials to your audience? These cinch drawstring bags will make a great choice. Made of recycled material, this bag has a convenient a mesh beverage pocket for carrying bottles during holidays or road trips. 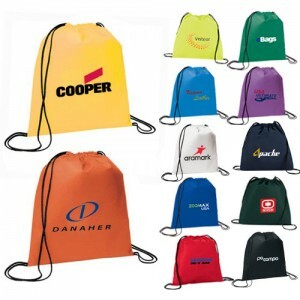 Executive Drawstring Knapsack: These superior quality knapsacks with a large imprint and storage space will make a high value gift during promotional campaigns and corporate events. Your brand and message on these will grab the attention of anyone who sees it and these trendy bags will become their favorite banter topic for sure. Which of these models are you planning to make your marketing swag in your forthcoming promotions? Share your ideas at the comments section.